REDUCE COSTS, IMPROVE SAFETY AND REDUCE RISK...Tons of time and money are wasted every month and every year by outdated safety training methods. 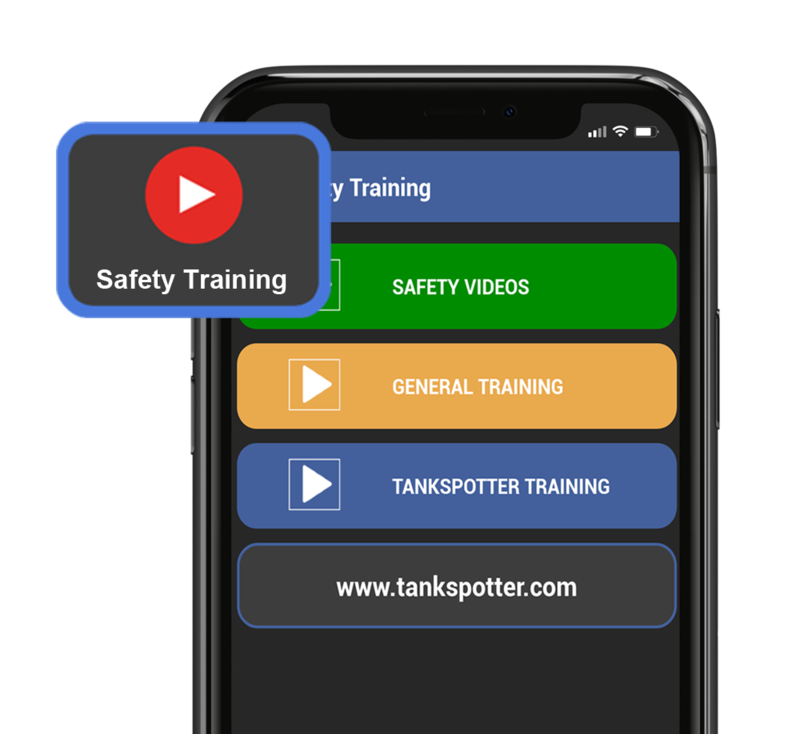 Now you can upload safety videos, industry training videos, DOT training videos right to the smartphones of all your employees. Send them the weekly safety or training video so they can watch it during a lunch break. No more wasted payroll for shuttling employees to safety meetings or worrying about who was absent from the safety meeting. Improve safety by using the best speakers/trainers via video. Custom pick which videos are best for you and your team. Yes, it even comes preloaded with dozens of essential training videos for you. ​REDUCE COSTS, IMPROVE SAFETY AND REDUCE RISK...Tons of time and money are wasted every month and every year by outdated safety training methods. 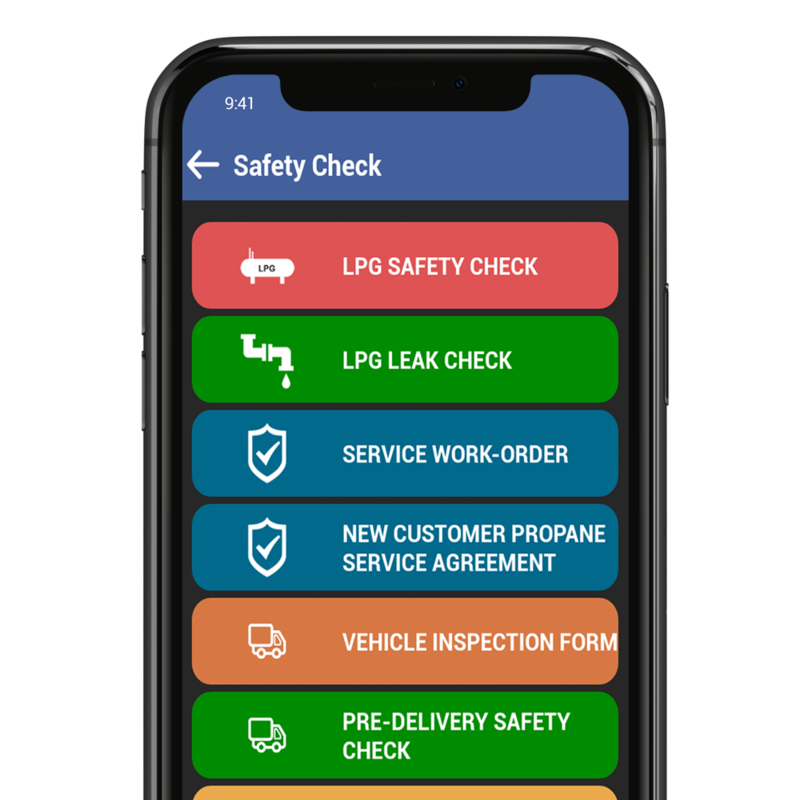 Now you can upload safety videos, industry training videos, DOT training videos right to the smartphones of all your employees. Send them the weekly safety or training video so they can watch it during a lunch break. No more wasted payroll for shuttling employees to safety meetings or worrying about who was absent from the safety meeting. Improve safety by using the best speakers/trainers via video. Custom pick which videos are best for you and your team. Yes, it even comes preloaded with dozens of essential training videos for you. The app spot checks your techs for you. 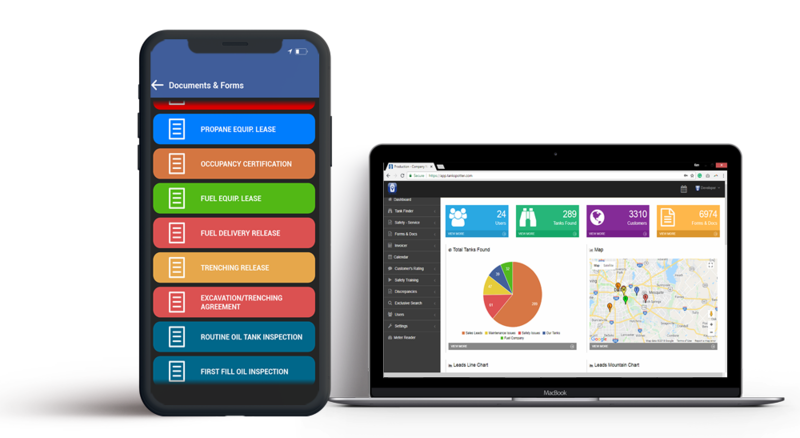 Automatically reports failed safety inspections. No more surprises about failed inspections. Imagine every safety form in your pocket. Everyone equipped with the right safety form all on your smartphone or tablet. Old fashioned paper forms have huge legal pitfalls like they get lost, are illegible or poorly filled out. Now with TankSpotter every form is instantly sent to the office with verification of your geolocation, signature, photos and its easy to read...finally! Hate paperwork? Hate wasting time? TankSpotter takes 73% less time to fill out, file and upload. With its voice enabled tech you can speak the data into the device... nor more typing, no more paperwork, no more filing, no more data entry. You don't lose digital forms and you don't need to file them. Why not do things the safer, smarter and easier way? Automate the labor-intensive process of service billing and creation of history records.